What Causes Road Rage? How Can You Overcome Road Rage? Did you know that 61% of motorists in the UK say that they have suffered from a road rage attack while driving? This can be either physical or verbal, and three-quarters of drivers said they have experienced a “threatening gesture” from another user. That means that 80% of drivers, four out of every five drivers, have experienced road rage aggression. Interestingly, only 6% of these incidents get reported to the police. So what causes road rage? And, if you suffer from road rage, how do you overcome it? 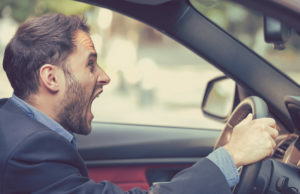 In this article, we look at what causes road rage, and some things you can do to stay calm on the road.